Natoo - Les chroniques d'une fille ludique : Statistiques Youtube ptitenatou, Facebook et Twitter. Are you ptitenatou? If you want to customize your description, change your categories and/or allow advertisers to contact you, click here. What is the influence of"Natoo - Les chroniques d'une fille ludique" ? Remember the channel of Natoo - Les chroniques d'une fille ludique well-known for its Humour videos and more precisely its Humour videos. 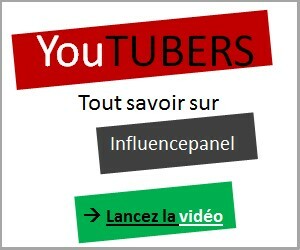 From the information gathered by our team inquire about the reputation online of the youtubers listed on our website. The amount of likers, followers, views on videos and subscriptions on the YouTube channel are the essential criteria to define the rank of each youtuber ! So let’s see who will be the most influent person online!